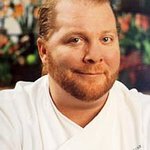 Feeding America has announced that acclaimed chef Mario Batali will serve as a guest editor for National Geographic magazine’s Your Shot assignment to inspire people to care about the issue of hunger in America. Batali is a member of the Feeding America Entertainment Council and a longtime anti-hunger advocate. Feeding America is the nation’s largest domestic hunger-relief organization, providing food to more than 46 million Americans each year. This year, National Geographic magazine’s editorial narrative is “The Future of Food.” In tandem, the Your Shot assignment “The Story of Hunger and Hope” project is designed to capture photographs of what hunger looks like in communities around the country and convey the hope that exists when people work together to solve the problem. Selected photographs from the Your Shot campaign will be included in the book Feeding America: Stories of Hunger and Hope, which is scheduled to be published October 2015, the book is being created as a persuasive tool for inspiring people to support hunger-relief efforts. Your Shot is National Geographic’s online community of nearly 500,000 photographers designed to tell stories through compelling photography. Anyone can join the Your Shot community to participate in the assignment. Throughout the assignment, which closes Sunday, November 30, Batali will help raise awareness by sharing his perspective on select submitted photos. The top photographs will be announced and posted on Monday, December 8. This project is funded by The Howard G. Buffett Foundation.